It was my dream to start an tech company, I mean it is still my dream. But I see that it requires a lot to achieve that dream of mine. Then I decided to work with one of such startup to got to know more before I start, though that decision of mine never got fulfilled at-least till now. But, I don't want you guys to miss that. That's the reason I have got Zomato back in our list, making it a second entry and I am proud to say that it's exclusively for freshers. Yes, I mean that... You need not have any prior experience for these position. As, I have told you, it's second time we have listed opportunity with Zomato and if you want to check the previous one then it's here "Zomato for Content Developer Job". Step 1: Go to "Careers Zomato"
-For Graphic Designer position I suggest you to apply only when you confident and have hands on training on most of the Adobe Creative Suite softwares such as Photoshop, Illustrator, PageMaker and CorelDraw. It's your creativity level and exposure to the Adobe tools is what they might be looking in an Ideal candidate. Do not fear if you are not that good with your communication skill, as these kind of skill require a very good creativity but not he communication. I strongly suggest you to carry a CD with all your works, which might impress them along with any certification of you graphic designing courses which might prove to be a big plus. -For Process Associate position, I strongly suggest you guys to work on your communication skills before you apply. Normally these kind of position the interviewer would be looking for a smart, dynamic and intelligent candidate. Since it's already mentioned that you need to have Computer skill, do prepare yourself for few Excel and Word questions. So, this is what we have for you today. Hope you have found this fresher job opportunity useful and please share it with your friends. May be you turn out to be be a job giver for them and imagine how thankful they would be to you for this rare fresher job opportunity. At CampsuCub we always welcome suggestion and comments to help you and other even better. Make use of our Facebook, Twitter, Google+ and LinkedIn gadgets to express your view. 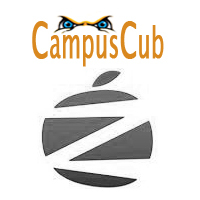 You are most welcome and we look ahead for more fresher job opportunities to be posted on CampusCub.